Digital advertising agencies in Toronto can help businesses of all sizes and across various industries maximize their online gains by reaching far wider target audiences than ever before and converting them into meaningful and lucrative leads. Online marketing provides businesses with countless benefits by helping them expand their branding and break into formerly untapped markets both nationally and internationally. The Internet allows businesses to break down intangible barriers through direct communication and interaction with customers all over the world, keeping them actively engaged with the intent of establishing strong brand awareness and above all, customer loyalty and satisfaction. 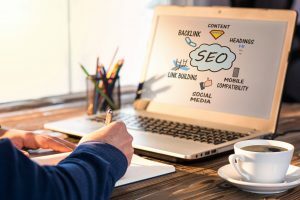 Many professional SEO agencies in Toronto can attest to the ultimate importance of online marketing and the different ways in which it can help boost a company’s online presence, reach, overall brand awareness, and customer satisfaction. The more people know about your brand and the easier you make it for people to access information about your company online, the more effective your marketing strategies will be. Ingraining your brand’s key messaging into customers’ minds, as well as information about the products and services you offer, works towards constantly reminding your customers of why they should continue supporting your business and how it benefits them directly. Strategically implemented SEO platforms have the far-reaching power to impact the lives and online experiences of your prospective customers in previously unfathomable ways. Nowadays, SEO platforms in Toronto come equipped with AdWords services that keep track of what users are searching for online, with the intent of creating strategically targeted and personalized ads that speak to their specific needs. For instance, if you recently searched for a chic leather jacket online and browsed a few different options, you may notice that Facebook and other social media platforms are now showing you advertisements for leather jackets from various brands. This isn’t coincidental; it’s called targeted advertising and it’s curated specifically based on your search history. Personalized ads can help to establish a strong connection between companies and their online customers. They demonstrate that you’re not only paying attention to what your customers are looking for, but that you understand their needs and are striving to meet them. Analyzing people’s search histories is an excellent way to better understand the interests and desires of your potential online market. It allows you to open the lines of communication between your company and your customers, and it allows them to voice their concerns and provide genuine feedback about your customer services and products, which they’ll appreciate. You can then use this information to improve your business practices and show true growth. Most PPC (pay-per-click) platforms in Toronto are far more cost-effective than producing hardcopy ads in print. Between the cost of advertisement distribution and paying for ad space in a variety of print publications, not to mention conducting separate market research and collecting consensuses from different regions and demographics, the cost of simply obtaining relevant information the old-fashioned way can sometimes be astronomical. On top of that, it might not even generate a worthwhile return on investment, if at all. Online marketing platforms are generally far more cost-effective because marketers can collect all of the relevant information they need to create more effective and interactive advertisements by simply examining data that’s provided to them by Google Analytics. One of the greatest perks of jumping on the online marketing bandwagon is that you can take advantage of flexible multi-platform or omni-channel-style advertising. Unlike with traditional advertising, you’re no longer confined to throwing caution to the wind by creating generalized advertisements that may or may not attract your ideal clientele. You have the ability to conjure individualized or exclusive ads that are guaranteed to attract the right customers to your business. Through word-of-mouth advertising and shares, your advertisements can begin to take on a life of their own on a multi-platform basis. Despite the endless possibilities presented to you with the use of PPC in Toronto, you should obviously still have very specific strategies in place to help keep track of your progress. Also, there are specific outlets involved in online advertising in which marketers see the most value. Mobile platforms have moved far ahead of desktop applications and it’s becoming abundantly clear that the latter is on the fast-track to becoming obsolete in the next few years. As a result, more and more advertisers are focusing on optimizing their mobile advertising platforms and making them more accessible to a wider range of users around the globe. Effective and targeted content marketing is another important aspect of online advertising that can help drive prominent PPC strategies in Toronto and other major cities. This entails creating web site content and ad copy that specifically targets certain locations and demographics. When these users search for services or products in their region, local companies will rank the highest on the search engine results pages due to certain keywords in the content that have been cleverly and discreetly implanted. Savvy online marketers would never make the mistake of underestimating the extensive value of using social media as part of their advertising schema. Social media is an invaluable asset because it can sustain a combination of intelligent marketing tactics that’ll inevitably enable you to extend your overall market reach. First of all, social media is an excellent platform for targeted marketing as it helps companies gather vital information about their potential customers. Secondly, it creates a conducive and effective online platform for spreading authentic word-of-mouth advertising. Customers who are satisfied with a certain product or service will undoubtedly share their experiences with their online followers and friends. Of course, this is a double-edged sword because a lot of people are just as quick to share negative reviews. The most important thing when it comes to social media marketing is how you as a business present yourself and respond to all kinds of feedback, even if it’s unfavourable. 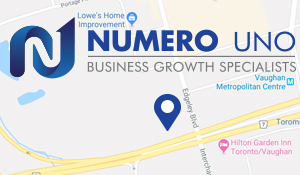 Numero Uno Web Solutions offers in-depth online marketing solutions to a wide variety of clients that are based in the United States and Canada. Our services include complementary web site analyses, creating authentic web site content and ad copy, and helping our clients establish a strong online presence through customer interaction and engagement. To learn more about our company and the services we offer, please feel free to contact us!